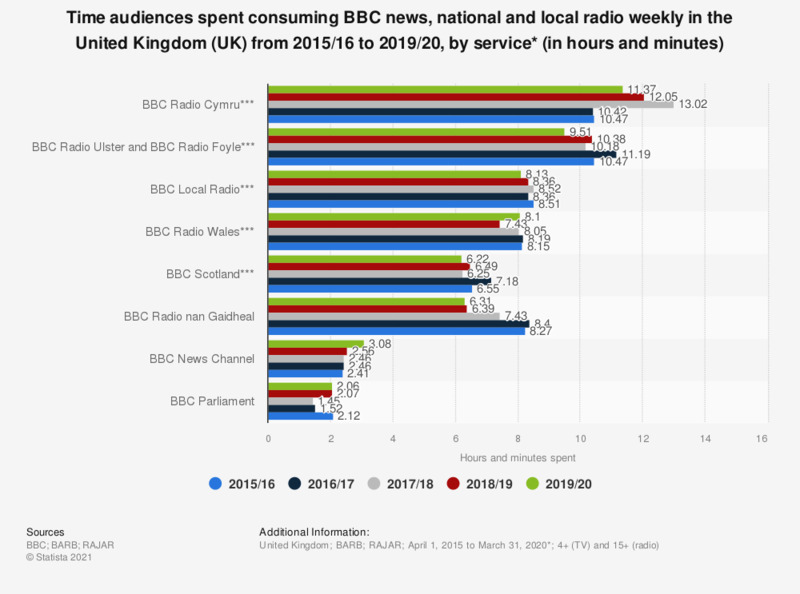 This statistic displays the time audiences spent weekly consuming BBC news, national and local radio services in the United Kingdom (UK) from fiscal year 2015/16 to 2017/18. In the fiscal year ended March 31, 2018, the most time was spent listening to BBC Radio Cymru, at 13 hours and 2 minutes a week. *** Data based on services' Total Survey Area (TSA). Data for years prior to 2016/17 were published earlier by the source.